A new study published in the New England Journal of Medicine Tuesday estimated that some 4,645 people died following the September 2017 landfall of Hurricane Maria in Puerto Rico - not 64, the official death toll. According to the study, Puerto Rico's official count of 64 is a "substantial underestimate" and "unscores the inattention of the US government to the frail infrastructure of Puerto Rico." Researchers came to their conclusion by surveying some 3,299 households across the island and inquiring as to how many people within the home died from injuries and illness sustained as a result of the hurricane. Officials later compared their results to the island's official mortality statistics from 2016 to determine their estimates. ​Speaking to Sputnik Radio's Loud & Clear, Camilo Matos, a member of the Puerto Rican Nationalist Party, stressed that the study showed many people ultimately died from "neglect." "[The estimate accounts for] mostly people [that died] out of neglect," Matos told show host John Kiriakou. "For a long time… months had gone by before people received medical attention… before they received the food that that they needed, before they received the water that they needed." "The most vulnerable — the elderly, the sick — were left on their own, many died," he added. When Kiriakou remarked that other as-yet unpublished studies might even suggest higher death tolls, Matos said he wouldn't be shocked. "I wouldn't be surprised," he said. "There were medical facilities where people, babies, elderly were left with no power, provisions… I wouldn't be surprised if the numbers were higher." Proving just how fragile Puerto Rico's power grid is, nearly 40 percent of the island's population lost power in April 2018 when a tree fell on a major power line in the capital of San Juan. With the study indicating that "approximately one third of post-hurricane deaths were reported by household members as being caused by delayed or prevented access to medical care," Matos explained to Kiriakou that a lack of communication was also to blame on the matter. "Military sent the hospital boat to dock in San Juan and everybody [in San Juan] knew about it, but there was no way of getting the information to other people on the island — they had no information about that," Matos said, before stressing that it was even more difficult to provide "help to people in the mountains." To Matos, the Puerto Ricans refused to share the data "because it would highlight their neglect." "One of their duties is to provide in emergencies like this. There were people, like the citizens themselves, out in the roads trying to create… networks, making community kitchens…. this is what the citizens were doing," Matos said. "The government, the one that claims to be the government of Puerto Rico, which is the colonial government from the United States, they have a role to play, which is to provide help for certain things and they totally didn't do what they were supposed to do." With thousands of Puerto Ricans having left the island since the hurricane struck, Matos suggested it was unlikely many would be quick to return, especially since the the Island of Enchantment hasn't seen many improvements since Maria. "It's hard for people to go back… because, one, it's the trauma of being out there and that feeling of helplessness if disaster comes by and you're not able to get the resources you need," he said. "You might be scared to be there." 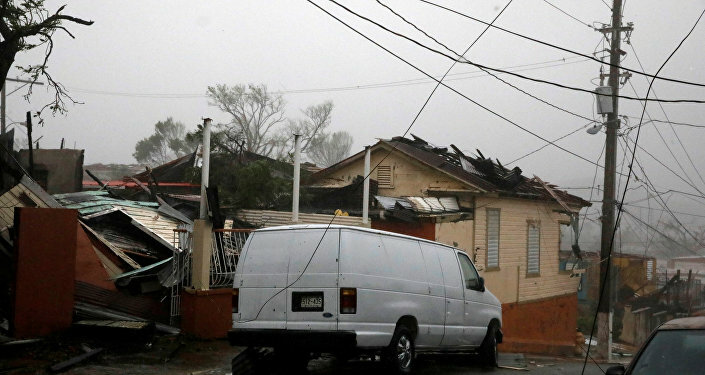 Though hurricane season is set to begin on June 1, experts have suggested that Puerto Rico would likely be spared this year from being pummeled yet again. According to Dan Kottlowski, a hurricane expert for Accuweather Atlantic, "statistically, it would be unusual for Puerto Rico or the Virgin Islands to have direct impacts from a tropical storm or hurricane in back to back years."